Issue: Men have been harried of late for their misdeeds and downright dastardly deeds. Much of it has been warranted. Some of it has been too broadly brush stroked, seeming to implicate all men in the misbehavior, abuse, disrespect and arrogance of the few. So here is my perspective. Then, this week, the Gillette Company added video fuel to the verbal fire by producing an advertisement that became an attention grapping, social commentary. The nearly 2 minutes portrayal of “boys being boys” seemed to bandwagon the issue of men generally behaving in poor taste, with a few notable exceptions. Their stated company goal was “If we get people to pause, reflect and to challenge themselves and others to ensure that their actions reflect who they really are, then this campaign will be a success”. Finally, one of the contributors, to the APA report, Dr. Ryan McDermott, said this…” if we can change men, we can change the world”. Response: What do I make of this? I say welcome to planet earth. Men have been playing good roles and bad throughout human history. God’s grace manifests in good behavior, sin in bad behavior. BUT; thinking you can change men and create a better society by getting them to deny or modify their God given biology is not only unrealistic, it shows, fundamentally that these doctors don’t appreciate God’s design for gender biology and behavior. Furthermore, it shows that the APA report contributors don’t understand the spiritual component of behavior either; that only God, through redemption, regeneration and sanctification can alter how a man acts out, migrating his behavior from bad to blessed. No, social movements are not going to correct the problem of man or woman’s sinfulness. Social campaigns can highlight issues that need to be confronted but they cannot correct it – only Jesus can do that and His chosen method is through the gospel. A final thought on men: God has chosen men, to change the world. There was a man – the man Christ Jesus – who took twelve other men as His chosen instruments to bring life change to our world. Jesus chose to use men, to reach out to a broken and tortured humanity with the message of the love of God. Perhaps what ails modern America and men especially is that we’ve let go of this high and honored calling. Fact is, and these social movements prove it, we Christian men haven’t been getting that message across clearly. And, perhaps we haven’t been getting that message across clearly because our neighbors don’t sense we love them genuinely? Remember the two great commandments; Matthew 22:34-39? #1 “‘You shall love the Lord your God with all your heart, and with all your soul, and with all your mind.’ This is the great and foremost commandment. Now that right there would fix society. Action Step: Men we’re stepping into the second month of this year. Let’s all recommit to living a godly lifestyle that exemplifies what Jesus produces in a man who surrenders to Him. Then let’s pass along that “contagion” , through the gospel, to our neighbors. 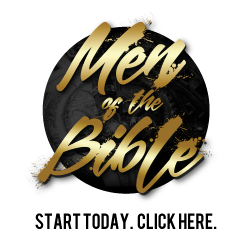 Thanks for being a part of this ministry that seeks to be solution oriented, helping men be more like Jesus so wives, children, coworkers and neighbors can experience the best from the men in their lives.